The honor was presented to Tommy at the 2018 International Exstrophy Conference on June 9, 2018 by Tom Exler, founder and chairman of Courage to Shine. Tommy’s fantastic speech was met with a standing ovation from conference participants. Thank you to Tommy and his family for inspiring us all! Tommy’s birth was much anticipated by his parents Tom & Heather Ludlow and his older sisters Ashlyn & Eliza. During his twenty week ultrasound, the doctors became concerned about his bladder and further testing revealed a diagnosis of bladder exstrophy. After disregarding the doctor’s recommendation to abort Tommy, his parents were thrilled to welcome him into the world on June 1, 2005. Although living in California, the Ludlows chose to deliver Tommy in Seattle so that he could promptly have surgery with Dr. Mitchell at Seattle Children’s Hospital where his complete closure and bilateral osteotomies were done when Tommy was one day old. Tommy was a very active toddler and loved all sports but especially jumping on the trampoline. 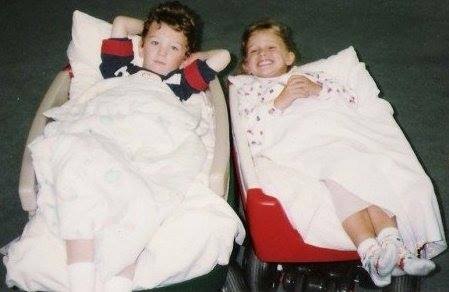 With multiple little surgeries and two more major surgeries at the age of 4 and 7 with Dr. Grady in Seattle, it was challenging for him to stay put during recovery and even more challenging to have his little sister, Avila wait on him. By the age of 7, Tommy was diagnosed with an enlarged heart and major hydronephrosis resulting in 50% function of his kidneys. This is when he began seeing the nephrologist for kidney disease and regular echocardiograms. It was also around this age that Tommy was diagnosed with severe dyslexia. Although many challenges have presented themselves in Tommy’s young life, he has also seen miracles and blessings. His heart has been normal for a year now and he has exceeded the Dr’s expectations in his physical and mental capacity. Tommy loves STEAM (Science, Technology, Education, Arts and Mathematics) projects and his favorite subject is math. He homeschools along with his sisters and loves to travel, listen to audiobooks, spend time with friends, tease his sisters and do projects with his dad. Although he loves most sports, with the exception of competitive swimming, his favorite is tennis. In spring of 2017, Tommy decided that he wanted to hike to Base Camp of Mt. Everest and began preparing. He set his tennis racket aside and joined the swim team to increase his endurance and lung capacity. He also began meeting with a trainer two times each week to gain more body strength and took the many skeptical opinions he heard as challenges to prove them wrong. Despite hitting obstacles along the way, including getting hypothermia and losing all feeling in his body, he was able to reach his goal of base camp in September of 2017. 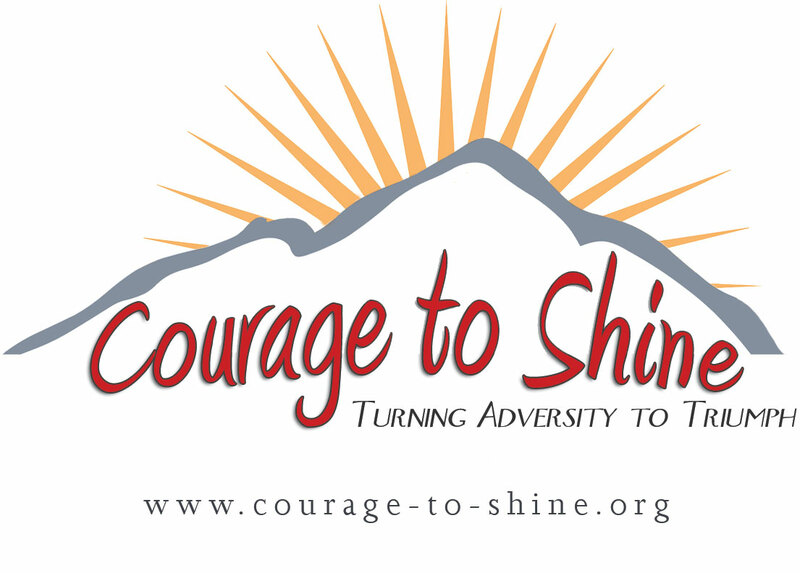 Courage to Shine™ was in 2010 by Founder and Chairman Tom Exler to acknowledge motivational and inspirational individuals and/or groups of patients whom have overcome congenital genitourinary birth defects and/or major urological surgeries in their childhood (but not limited too), and have the courage, strength and determination, to transform that adversity to triumph later in life.